Wedding season is coming up quickly, and now is the time to polish off your wedding day look with a little sparkle. These four trends are popular with 2018 brides, and our designers love them! Last week, we showed you five unique halos that actual couples have designed. We’re seeing more and more creativity as couples bring fresh new ideas to our designers. 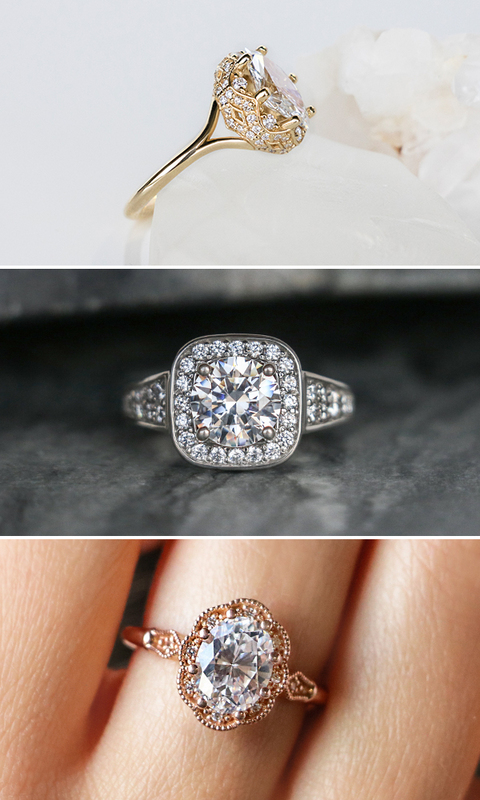 Halos are no longer just a simple row of accents around the center stone; they’re inspired by architecture, nature, and—of course—romance. 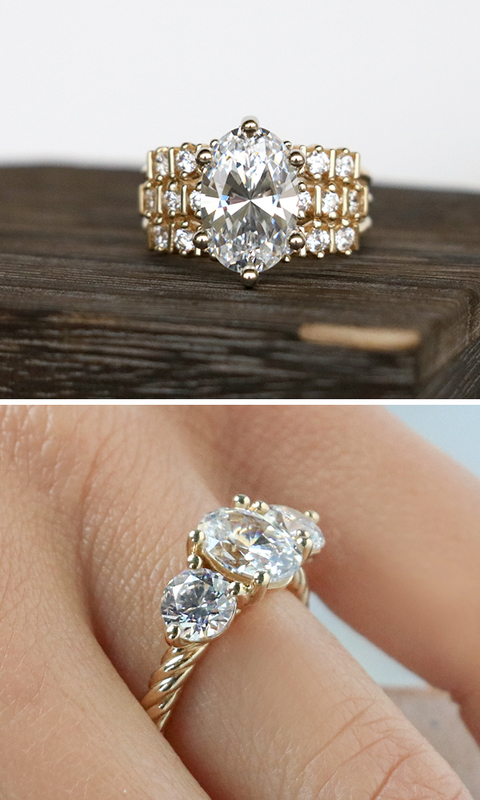 Over the last few years, rose gold has been in the spotlight, but now it’s yellow gold’s turn! 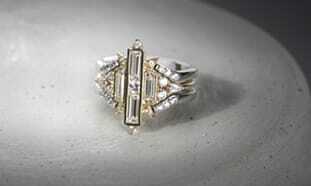 This warm toned metal is especially gorgeous in vintage-style rings and jewelry. And with the ongoing trend of mixing metal types, yellow gold can add some color to your stack or bands or bracelets. Slim bands are in, especially when they flow straight into the setting without tapering. 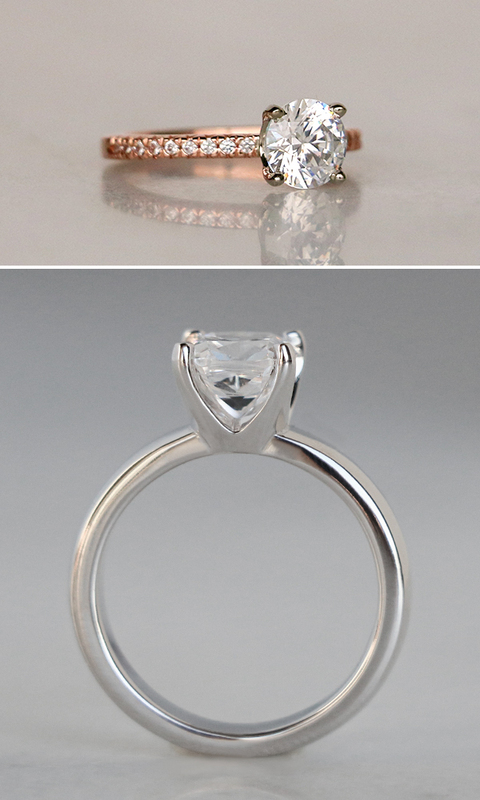 Petite bands make the center stone appear larger, while the overall look of the ring will be more dainty on the finger. Slimmer bands are also perfect for stacking! More and more brides are looking for fancy cuts with elegantly rounded edges. 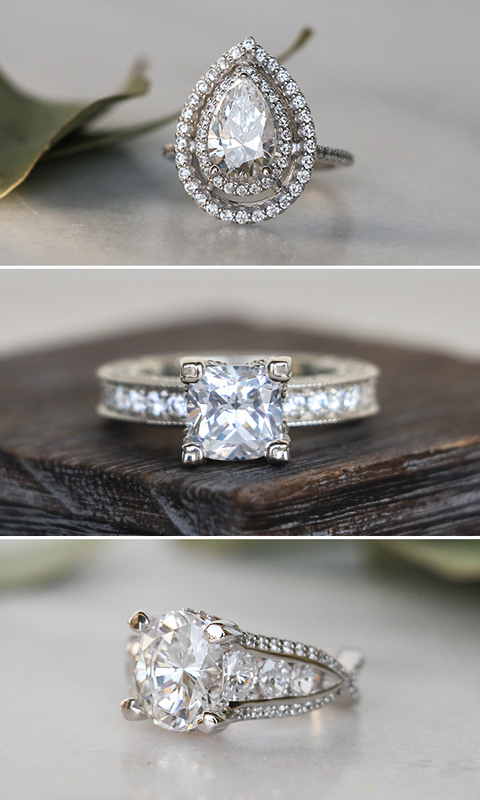 Oval, Cushion and Pear cut are the three trendiest cuts. Each of these cuts will maximize carat weight to make the stone look larger, and can be used in any ring style from solitaire to halo. Which bridal trend is your favorite for this wedding season? The top three. They are making me swoon.